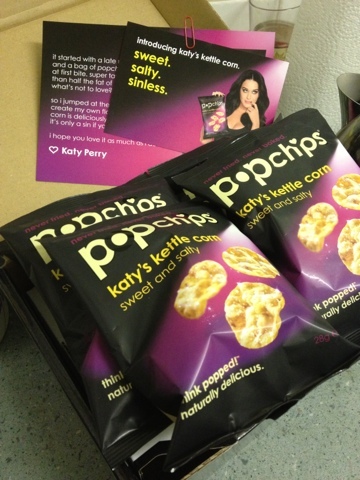 A short while ago I was contacted by a PR company asking if I'd like to sample a new variety of PopChips designed by Katy Perry. I said yes and they sent me a box - unfortunately it contained 4 flavours which were not Katy Perry inspired! 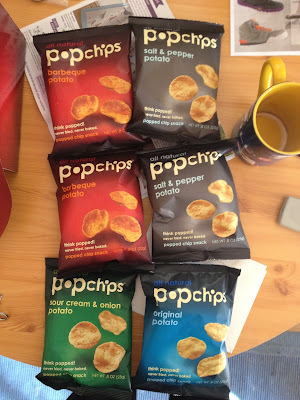 The original was too salty and I gave the sour cream ones to someone who liked that flavour, but I did enjoy the salt & pepper and barbeque (which seems an unusual spelling) flavours. A short while after this I received a new parcel with the Katy Perry versions. To be honest I only really know one Katy Perry song, and that's because a comedian I like did a cover version. I'm sure she's a very nice lady, but I am not the target market for these. Naturally as with any sharing based snack I took these into work and shared them amongst the lab workers at break and lunch. The first thing I noticed when people tried these was the face. There was a very specific expression that people had after the salty crisp like item turned out to have a sweet aftertaste! Naturally this almost universally resulted in people requiring a 2nd and third to properly evaluate the experience. It seems that the majority of people did like them - I think only one person found them to be a bit tasteless for her. I think these are a bit thinner and more crisp-like than the earlier flavours and this made them snap more and be more crisp like. This positive step, with the cinema popcorn like taste sensation of mixing sweet and salty corn snacks at the same time. This said - are they any good? They are certainly interesting, and very moreish as most people seem to want to eat more. I think that I'd probably gravitate more to the earlier flavours (sorry Katy) but this certainly one of the top ones. 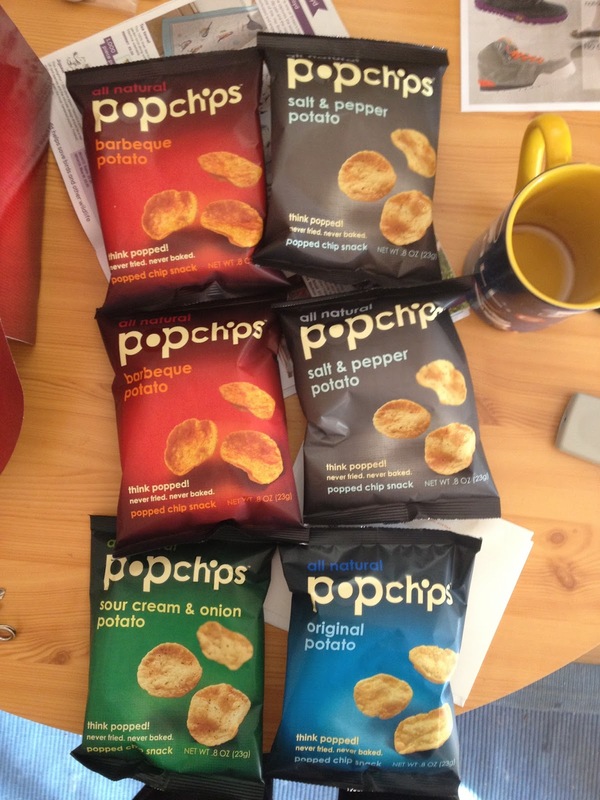 PopChips themselves are an ace idea (as one person pointed out - why has no-one done this before!) and I do hope the range continues.